January 5: Goodhue County History/Free Family Fun Day presents Mysteries at the Museum! Join us for a reading from DIGGING UP DANGER, dive into some mystery-writing activities, create your own bookmark, and solve a museum-wide mystery with a game of "Clueseum Jr", a family-friendly activity based on the board game Clue. Jacqueline's books will be available for purchase and signing. Goodhue County Museum, Red Wing, MN. 12:00 - 3:00 p.m.
March 15: Meet the Finalists, a Minnesota Book Awards event. University of Minnesota (Minneapolis), 7:00 p.m.
March 26: YA panel with Caleb Roehrig (Death Prefers Blondes), Shannon Gibney (Dream Country) and Jacqueline West - Red Balloon Bookshop, 6:30 p.m.
May 7: LAST THINGS released! September 24: THE COLLECTORS released in paperback! October 22: THE COLLECTORS, VOLUME TWO: A STORM OF WISHES released! Kids' Writing Workshop: Creating Characters. 12:00 p.m.
Panel: Kid Lit - How to Write for Young Audiences. 2:00 p.m.
Panel: Dark Magic - Writing Fantasy for YA and Adults. 10:00 a.m.
Reading: Wisconsin Writers Invitational. 2:00 p.m.
October 9: THE COLLECTORS released! October 15: THE COLLECTORS release party: Red Balloon Bookshop, St. Paul, MN. 6:30 p.m.
October 26: ITEM Conference, Alexandria, MN. November 24: Guest bookselling at Red Balloon Bookshop for Indies First! Stop by for book recommendations, special in-store activities, and signed/personalized copies of THE COLLECTORS and THE BOOKS OF ELSEWHERE. Red Balloon Bookshop, St. Paul, MN. 2 - 4 p.m.
December 2: Reading/chatting/signing THE COLLECTORS (and other books) at Fox Den Used Books, River Falls, WI. 2:00 p.m.
December 8: Holiday Celebration of the Arts, Anderson Center, Red Wing, MN. Stop by for signed copies of THE COLLECTORS, THE BOOKS OF ELSEWHERE, and Jacqueline's other books (including poetry collections!) just in time for the holidays, and enjoy some seasonal treats while browsing the arts and crafts. 11 a.m. - 5:00 p.m.
January 7: Free Family Fun Day, Goodhue County Historical Society, Red Wing, MN. Reading/short talk at 1:00, followed by writing and art activities for kids! Books will be available for sale. 1:00 - 3:00 p.m.
January 9: Book Club meeting (discussing Dreamers Often Lie), Barnes & Noble Galleria, Edina, MN. January 18: Hillcrest Elementary, Ellsworth, WI. January 28: "Writing for Young Readers" - Single-session class, Crossings at Carnegie, Zumbrota, MN. 10:00 a.m. - 1:00 p.m.
May 15: School visit, Bayfield Schools, Bayfield, WI. May 31 - April 1: Success Beyond the Classroom Young Authors Conference, St. Paul, MN. July 20: Young Writers' Workshops, Scott County Public Libraries. Registration opens 6/13/17. July 27: Young Writers' Workshops, Scott County Public Libraries. Registration opens 6/13/17. July 31 - August 4: Summer Writing Intensive with The Shire, Stillwater, MN. Two week-long sessions for young authors, including courses in fiction, illustration/comics/graphic novels, nonfiction, poetry, drama/screenplays, and editing. Visit The Shire website for more information. September 23: 11:00 a.m. Barnes and Noble B-Fest -- 2nd annual teen book festival. YA panel with Bryan Bliss, Pete Hautman, Carrie Mesrobian, Monica Ropal, and Jacqueline West. Galleria Barnes and Noble, Edina, MN. December 9: Holiday Celebration of the Arts, Anderson Center, Red Wing, MN. Jacqueline will be signing and selling THE BOOKS OF ELSEWHERE and DREAMERS OFTEN LIE. 11 a.m. - 5 p.m.
January 2: Free Family Fun Day, Goodhue County Historical Society, Red Wing, MN. 1:00 - 5:00. I'll be reading from THE BOOKS OF ELSEWHERE at 2:30 and then hanging around to chat, sign books (copies will be available for sale from Fair Trade Books of Red Wing) and lead a writing activity. Come join us! February 13: Books and Breakfast, Minneapolis, MN. 9:00 - 12:00 p.m. Visit www.booksandbreakfast.net for more info and to register to attend. Seating is limited! March 10: Tribeca Books, Watertown, WI. 4:00pm. Signing, chatting, answering questions...stop by! March 26: Moderating the Penguin Teen on Tour panel with Alison Goodman (THE DARK DAYS CLUB), Alwyn Hamilton (REBEL OF THE SANDS), Rachel Hawkins (MISS MAYHEM), Sabaa Tahir (AN EMBER IN THE ASHES), April Genevieve Tucholke (WINK POPPY MIDNIGHT), and Karen Bao (DOVE ARISING) at Red Balloon Bookshop, St. Paul, MN. *This is a ticketed event - see Red Balloon's site for more info. 6:30 p.m.
April 8: DREAMERS OFTEN LIE release party! Cake, Q&A, Shakespearean Mad Libs, and other bookish delights. Red Balloon Bookshop, St. Paul, MN. 6:30 p.m.
May 13: New Richmond Elementary Schools, New Richmond, WI. May 20: Authors After Hours with Anne Greenwood Brown and Jacqueline West. Valley Bookseller, Stillwater, MN. 6:45 p.m. Visit valleybookseller.com for event description and details. Space is very limited; reserve your spot ASAP! May 21: Fair Trade Books, Red Wing, MN. Reading, talk/Q&A, and book signing for DREAMERS OFTEN LIE (and THE BOOKS OF ELSEWHERE). 12:00 - 2:00 p.m.
June 4: Summer Reading Kickoff, Hudson Area Library (in affiliation with Chapter2Books), Hudson, WI. Panel featuring S.A. Bodeen, Shelley Tougas, and Jacqueline West at 11:00 a.m. Visit Chapter2Books.com for more info. June 10: B-Fest Teen Book Festival, hosted by Barnes & Noble stores nationwide. Join me for "Teen Trivia Night" (and to get signed copies of THE BOOKS OF ELSEWHERE/DREAMERS OFTEN LIE) at Barnes & Noble, Eagan, MN. 7:00 p.m.
1:00 p.m. - Chatting, reading, and signing DREAMERS OFTEN LIE, along with Kirstin Cronn-Mills (ORIGINAL FAKE), at Barnes & Noble Galleria, Edina, MN. 3:00 p.m. - Signing DREAMERS OFTEN LIE and THE BOOKS OF ELSEWHERE at the Mall of America Barnes & Noble, Bloomington, MN. June 14 - 16: Minneapolis Young Writer's Workshop with Jay Asher, Ally Condie, Jennifer Nielsen, Jonathan Friesen, Jacqueline West, and Serena Chase. North Central University, Minneapolis, MN. Visit mplsyoungwritersworkshop.com to learn more and/or register (attendance is limited). October 14: ITEM Conference, Brooklyn Park, MN. November 17: School visits, Austin, MN. 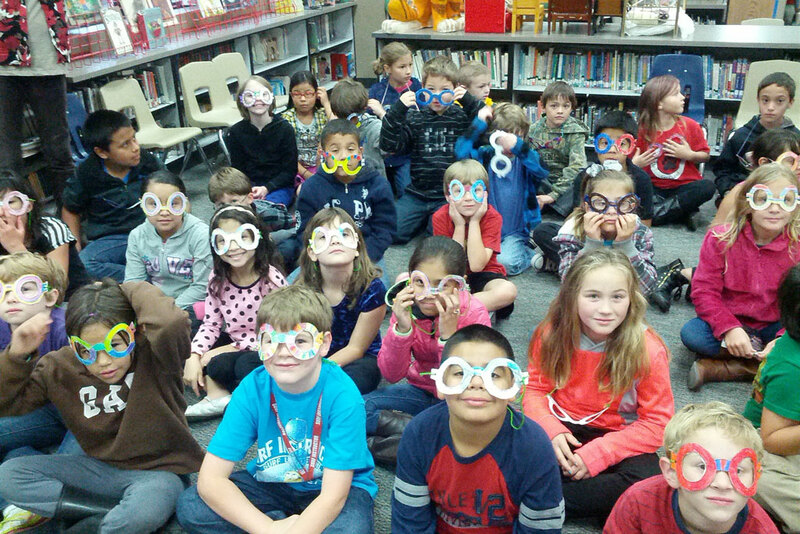 January 27 - 28: School visits, Moorhead, MN. July 11: Summer Celebration of the Arts, Anderson Center, Red Wing, MN. Signing and selling all five volumes of The Books of Elsewhere (including Still Life in paperback!). 11:00 - 5:00. October 17: Twin Cities Book Festival, State Fair Grounds, St. Paul, MN. 12:15 pm: “Middle Grade Adventures: Not for the Faint of Heart” with John Parke Davis, Lynne Jonell, D.J. MacHale, Carrie Ryan, and Jacqueline West. Book-signing follows! November 19: NCTE Convention, Minneapolis, MN. Signing ARCs of DREAMERS OFTEN LIE at the Penguin Young Readers booth. January 8 - 9: Mosinee Middle School, Mosinee, WI. April 6: Parnassus Books, Nashville, TN. The Endangered Authors -- Gennifer Choldenko, Curtis Jobling, C. Alexander London, and Jacqueline West -- will be in the store, signing books and chatting. Come see us! 2:00 p.m.
May 6: Rye Public Library, Rye, NH. Speaking, reading, answering questions, signing books... All are welcome! 6:30 - 7:30 p.m.
May 17: Gaithersburg Book Festival, Gaithersburg, MD. Presentation: 4:15 - 5:15 p.m., Willa Cather Pavilion. Book signing: 5:20 - 6:00 p.m., Politics and Prose signing area. May 17: THE BOOKS OF ELSEWHERE, VOLUME FOUR: THE STRANGERS released in paperback! June 17: THE BOOKS OF ELSEWHERE, VOLUME 5: STILL LIFE released! June 17: THE BOOKS OF ELSEWHERE, VOLUME 5: STILL LIFE release party. Cake, chatting, book signing... Join us! Red Balloon Bookshop, St. Paul, MN. 6:30 p.m.
June 20: Fox Den Books, River Falls, WI. Hometown party for THE BOOKS OF ELSEWHERE, VOLUME FIVE: STILL LIFE (and the rest of THE BOOKS OF ELSEWHERE, too)! All books in the series will be available. 6:30 p.m.
Valley Bookseller, Stillwater, MN. Reading, chatting, and signing all volumes of THE BOOKS OF ELSEWHERE. 2 p.m.
Wild Rumpus, Minneapolis, MN. HoverDraft Show with Susan Marie Swanson, Stephanie Watson, Mike Wohnoutka, and Jacqueline West: Kid lit authors and illustrators share their works-in-progress! 7:00 p.m.
July 12: Summer Celebration of the Arts, Anderson Center, Red Wing, MN. Signing and selling all volumes of The Books of Elsewhere. 11:00 a.m. - 5:00 p.m.
August 2: Chapter2Books, Hudson, WI. Reading, chatting, and signing all volumes of THE BOOKS OF ELSEWHERE (plus projects for young readers!). 2 p.m.
August 16: "Reading (and Writing) Minds: Creating Believable Characters" - Single-session class, Crossings at Carnegie, Zumbrota, MN. 10:00 a.m. - 1:00 p.m.
August 21: Spring Valley Public Library, Spring Valley, WI. Talk, signing, and workshop for young writers. 10:30 a.m. - 12:00 p.m.
September 15: "Books and Brownies" Book Club, Wild Rumpus, Minneapolis. 6:00 p.m.
September 16: New Ulm Public Library Family Program, New Ulm, MN. Presentation, reading, and Q&A: 6:00 p.m.
October 19: Schuler Books & Music, Okemos, MI. 3:00 p.m.
October 20: Kinawa School, Okemos, MI. October 20: Anderson's Bookshop, Naperville, IL. 7:00 p.m.
October 21: Fairmount Elementary and Henry Puffer School, Downer's Grove, IL. Cossitt Avenue School, LaGrange, IL. October 22: Falcon Hill Elementary, Mesa, AZ. Eduprize, Gilbert, AZ. October 22: Changing Hands Bookstore, Tempe, AZ. 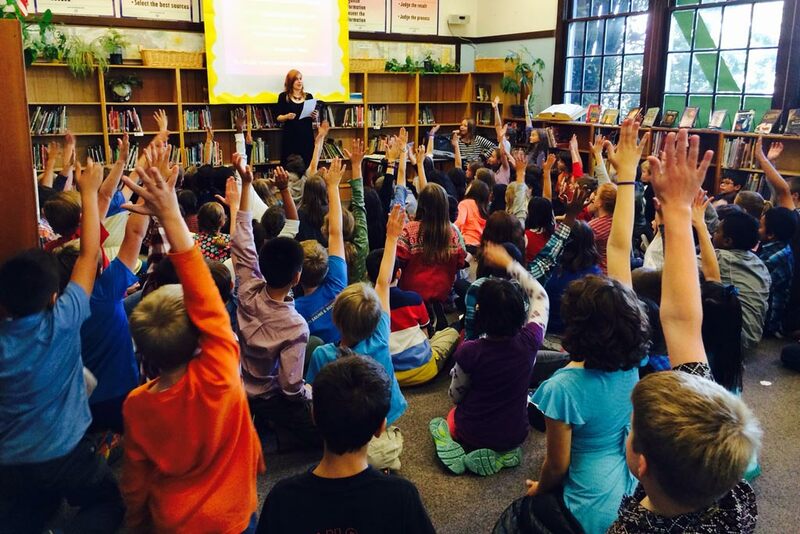 5:00 p.m.
October 23: Bryant Elementary and Bagley Elementary, Seattle, WA. October 23: University Book Store, Seattle, WA. 6:00 p.m.
October 24: Powell's Books at Cedar Hills Crossing, Portland, OR. 7:00 p.m.
October 25: Barnes & Noble, Orem, UT. 4:00 p.m.
November 9: Addendum Books, St. Paul, MN. Middle Grade Magic panel with Will Alexander, Kelly Barnhill, Brian Farrey, and Jacqueline West. 2:00 p.m.
November 29: Indies First second annual event! Catch Jacqueline at Chapter2Books in Hudson, WI from 9:00 - 10:30 a.m., or visit your local independent bookstore to chat with author volunteers. December 2: A Mighty Girl Book Club meeting, Prescott, WI. December 6: Holiday Celebration of the Arts, Anderson Center, Red Wing, MN. Last chance to get your (signed! personalized!) gift copies of The Books of Elsewhere before the holidays... 11:00 a.m. - 5:00 p.m.
February 20: In-store book signing, Bookin' It Bookstore, Little Falls, MN. 3:30 - 5:00 p.m.
June 21: "In the Middle: Writing for Middle Grades and Young Adults" - Single-session class, Crossings At Carnegie, Zumbrota, MN. 10:00am - 1:00pm. July 13: Summer Celebration of the Arts, Anderson Center, Red Wing, MN. 11 a.m. - 5 p.m. Signing and selling THE SHADOWS, SPELLBOUND, THE SECOND SPY, and a limited quantity of early release copies of THE BOOKS OF ELSEWHERE, VOLUME FOUR: THE STRANGERS! July 16: THE BOOKS OF ELSEWHERE, VOLUME FOUR: THE STRANGERS released in hardcover and downloadable audio format. THE BOOKS OF ELSEWHERE, VOLUME THREE: THE SECOND SPY released in downloadable audio format. July 27: Valley Bookseller, Stillwater, MN. 12:00 p.m. Reading, chatting, and signing all volumes of THE BOOKS OF ELSEWHERE. August 5: Hazel Mackin Community Library - Summer Reading Finale, Roberts, WI. Speaking, signing, and selling all four volumes of THE BOOKS OF ELSEWHERE. 6:30 - 8:00 p.m.
September 23: Tweens and Teens group meeting, Red Wing Public Library, Red Wing, MN. 5:30 p.m.
October 4: Minnesota Educational Media Organization (MEMO) Conference, St. Cloud, MN. Book signing. October 23: Elmwood Elementary School and Elmwood Public Library reception and signing, 3:30 p.m.
October 26: Wild Rumpus Bookstore, Minneapolis, MN. Reading, chatting, signing, and Halloween fun. 1:00 p.m.
November 16: Addendum Books, St. Paul, MN. Middle-grade group author event with Kurtis Scaletta, Anne Ursu, and Lisa Bullard. 1:00 p.m.
November 30: Indies First/Small Business Saturday at Addendum Books, St. Paul, MN. Many Minnesota authors - including Jacqueline, from 12:00-1:00 - will be in-store all day, chatting with shoppers, recommending books, and signing stock. Please support your local indie booksellers! February 22: Girl Scouts Centennial Great Girl Gathering, Girl Scout Shop, Mall of America. 6:00 - 8:00 p.m.
"Endangered Authors" tour with C. Alexander London (An Accidental Adventure), Adam Gidwitz (A Tale Dark and Grimm), and E.J. Altbacker (Shark Wars)! April 22: Los Angeles Times Festival of Books, Los Angeles, CA. Signing, 2:00 p.m.
April 23: Mrs. Nelson's Toy and Book Shop, La Verne, CA. Reception and signing, 5:00 p.m.
April 24: Hicklebee's, San Jose, CA - Reception and signing, 3:00 p.m.
May 19: Concord Elementary Book Fair, Barnes & Noble Galleria, Edina, MN. Reading and signing, 11:00 a.m.
July 13: THE BOOKS OF ELSEWHERE, VOLUME THREE: THE SECOND SPY release party! Red Balloon Bookshop, St. Paul, MN. 7 p.m.
July 30: Girl Scouts Anniversary Event, Hudson, WI. 6:00 - 8:00 p.m.
November 18: Kids Day at The Book Shelf, Winona, Minnesota's independent bookstore. 10:00 a.m. - 11:00 a.m.
December 7: Patron appreciation event/open house, Red Wing Public Library, Red Wing, MN. Selling and signing all three volumes of The Books of Elsewhere. 5:00 p.m. - 6:00 p.m.
February 25: Eagle View Elementary, Fairfax County, VA.
July 9: Summer Celebration of the Arts, Anderson Center, Red Wing, MN. 11 a.m. – 6 p.m.
July 12: THE BOOKS OF ELSEWHERE, VOLUME TWO: SPELLBOUND released! July 12: Red Wing Public Library, Red Wing, MN. 10:30 a.m.
July 14: Valley Bookseller, Stillwater, MN. 5:00 p.m.
July 16: Best of Times Bookstore, Red Wing, MN. 10:00 a.m.
August 2: Reading Frenzy Book Shop, Zimmerman, MN. 6:30 p.m.
August 20: Bookin' It, Little Falls, MN. Signing in-store from 11:00 a.m. - 3:00 p.m.
October 28: American Association of Schools and Libraries Conference. Signing at the Penguin booth from 11:30 - 12:30, AASL booth: 1:00 - 2:15, Mackin booth: 3:00 - 4:00. October 29: Reading, signing, and chatting at Karma Gifts, River Falls, WI 1:00 p.m.
December 10: Holiday Celebration of the Arts, Anderson Center, Red Wing MN. Signing and selling copies of The Shadows, Spellbound, and Cherma. 11:00am - 5:00pm. If you are interested in having Jacqueline visit your school, library, bookstore, or other organization, contact her at jacqueline@jacquelinewest.com for rates and availability.